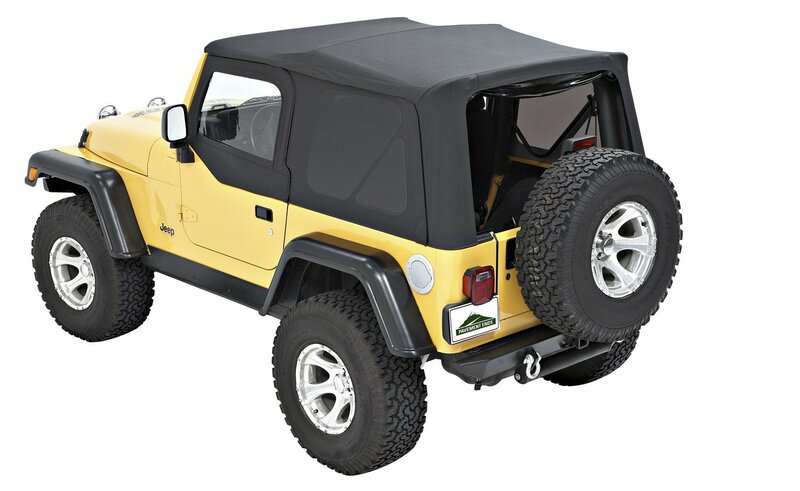 The Pavement Ends TJ Soft Top does a great job of balancing a quality product that won’t leak, fade, or create road noise with a need to bee affordable. 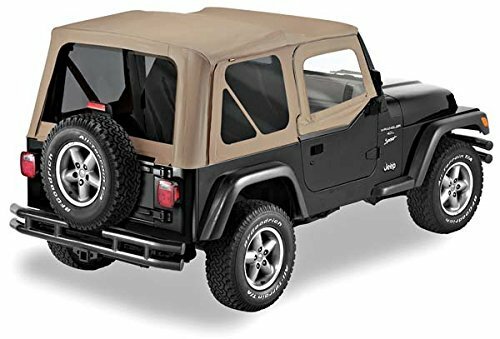 The Replay soft top by Pavement Ends is a good option if you’re looking to replace your existing soft top that still has good hardware. 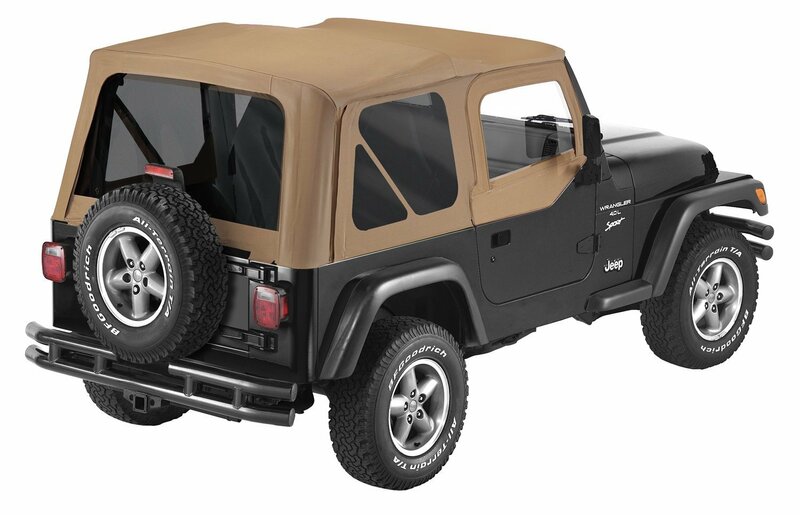 The offer the industry standard colors (black, tan, and spice), and include tinted windows. If you’re in need of a new top, and don’t want to spend $600 for a full out Bestop, then Pavement Ends is the way to go. 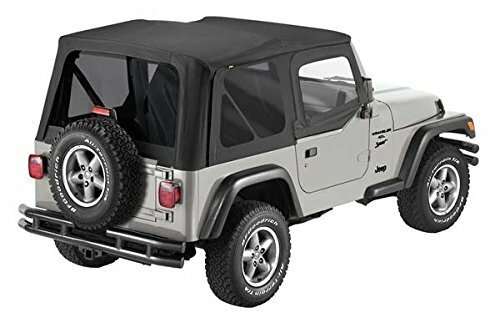 For around $300 you’ll get a quality top that will fit like factory, and a one year warranty by the biggest name in Jeep Tops (Pavement Ends is owned by Bestop). This is likely the best top for the price. Black Denim vs Black Diamond? Black Denim was an option on Wranglers from 1997 – 2002, and is a black / dark grey jeans material. Black Diamond was available on 2003 – 2006 Wranglers, and is a shinier black color, and if you look close, you can see diamond patterns.